Great gift for the aviation enthusiast! 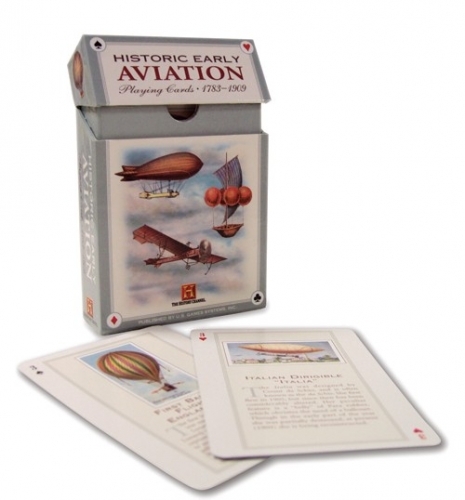 Each of the 52 color illustrations depicts a dirigible or other aircraft and the deck completes its journey through the history of flight with the final card representing the Wright Brothers. Descriptive text, originally written in 1910, is included on each card. Suitable for most card games.